To understand a play, you must first understand the fundamentals for the play: protagonist, antagonist, exposition, rising action, crisis, climax and resolution. I will examine Hamlet by William Shakespeare. 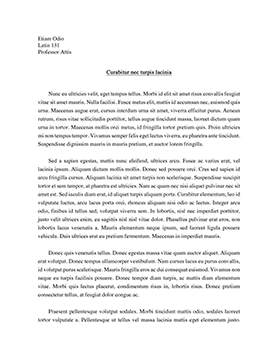 This is a great example for the purpose of this paper it provides a clear and great examples. The protagonist, the central character in the play. It is his or her story that is being told. Exposition is the establishment of the status quo, the laying of the pattern for the rest of the play. The status quo is what gives the reader the, where and when. In the exposition we learn that Hamlet is the protagonist. He is the son of the late King Hamlet, who was killed by his brother Claudius. Then Claudius took the throne and married Gertrude, Hamlet’s mother. These actions make Claudius the sworn enemy of Hamlet, making him the antagonist. Claudius clearly opposes Hamlet throughout the play. He begins by killing his father and taking the thrown. Even though in the beginning Hamlet does not know this he is still upset due to the fact that Claudius has married his mother. In the play the inciting action happens in the scene where Hamlet actually has the conversation with the ghost of his father. Inciting action is what starts the rising action. In this scene the ghost reveals himself to Hamlet and tells the new king Claudius killed him that did not die of natural cause but instead. Now his ghost is unable to rest in peace, because that fact is not known. This causes Hamlet to start investigating the story of the ghost. Hamlet is distressed due to the fact of his fathers ghost telling him of the horrid death that he suffered and wanting him to make things right. Hamlet questions the ghost and wonders if all this information could be true. He wonders if the ghost is just really an evil ghost that is lying to him. Rising action is all the events that lead the play to the climax. In acts two and three the events are helping the readers anticipate what will happen. Claudius has chosen two of Hamlet’s school friends to spy on him to see why he is acting so strange. Meanwhile Hamlet plots with the players to re enact the death for Claudius. Because of the reaction of the king the story of the ghost was confirmed. The crisis in a play is the turning point in a play. Now that he knows that his mother and the king know he knows he must take action. So by total accident he kills Polonius behind the curtain because he thought it was Claudius. This in return starts the falling action. For example the king sending Hamlet to England. Climax is the most exciting part of the play. In Hamlet the climax comes in the fifth act when Hamlet kills the king Claudius and he himself dies from the gash he received from the poisoned sword. The queen also dies when she drinks from a poisoned cup that was meant for Hamlet. Hamlet's death is not in vain because his fathers killer has been brought to justice. Resolution is solving of the main problem within the play. This is also in scene five because even though Hamlet is dead so is Claudius and his fathers ghost can rest in peace. Hamlet is given the honorable burial that he deserves. The problems all seem to come to a close. Normally you don't view a protagonist as dying but in this case this is the inevitable.